For use on all white and light colored livestock. 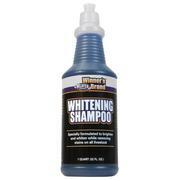 This shampoo removes stains while brightening and whitening the hair coat. Specially formulated to nourish the skin and hair for a clean, healthy and beautiful end result. 11" In-Fence Feeder from Little Giant. These durable in-fence feeders are made from high impact polyethylene plastic. These feeders are portable and easy to install on fencing using either the provided heavy-duty metal clips or by wall mounting using fencing staples/lag screws (not included). Capacity for liquids is 4.5 quart or 4 quart for dry feed. 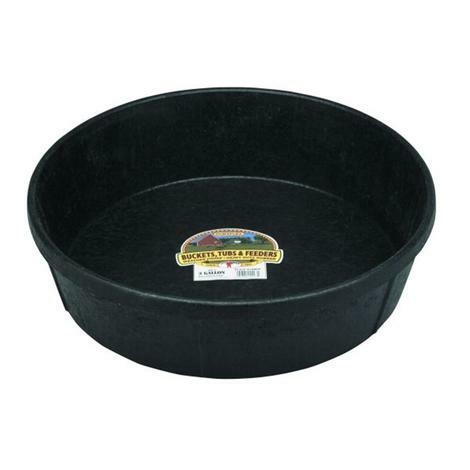 Little Giant rubber feed pan with a 15 gallon capacity. Made with strong DuraFlex rubber to ensure it is not only long-lasting, but also crack-proof, crush-proof, and freeze-proof. 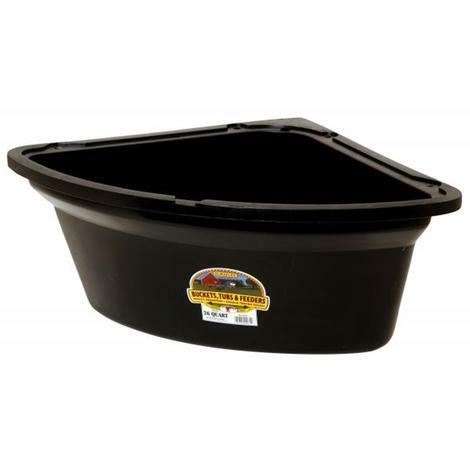 This all-purpose tub is great for feeding and watering, or other jobs around the farm, ranch, or garden. 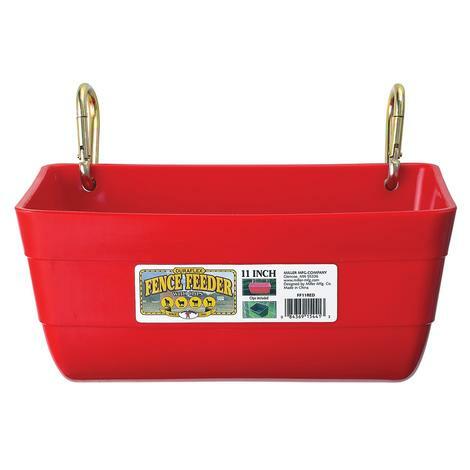 Little Giant corner feeder with 26 quart capacity. Corner feeders have many benefits such as saving space while also gaining stability from being mounted in the corner. Made with high-impact polyethylene to withstand tough use. Easily mounts to perpendicular rails using four lag screws (not included). Available in several colors: Black, Blue, Green, or Red. Little Giant rubber feed pan with a 3 gallon capacity. Made with strong DuraFlex rubber to ensure it is not only long-lasting, but also crack-proof, crush-proof, and freeze-proof. 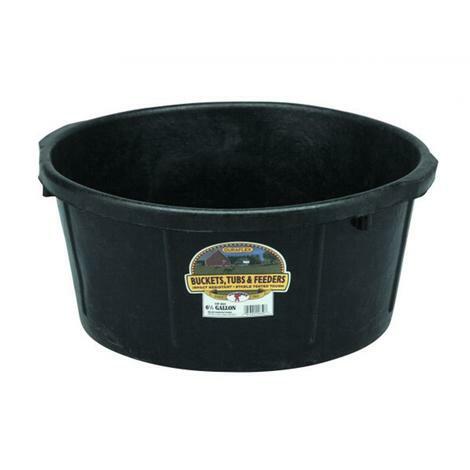 This all-purpose tub is great for feeding and watering, or other jobs around the farm, ranch, or garden. The Monoject syringe and needle combo is a ready for use system. The 3cc syringe is latex free and has a graduated barrel. The polypropylene barrel and plunger move smoothly. A stainless steel 20-gauge needle has a polypropylene hub. This needle and syringe combo are already assembled. 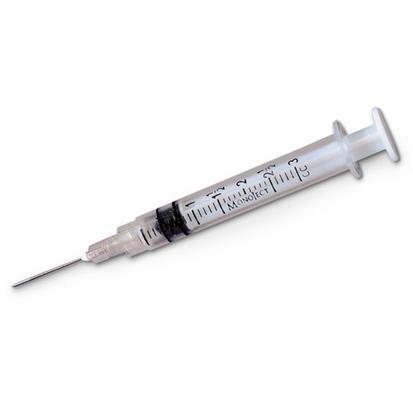 The hard-outer polypropylene container allows you to carry this needle and syringe without contamination. Monoject 3cc Syringe with 20 x 1 Needle. Single. 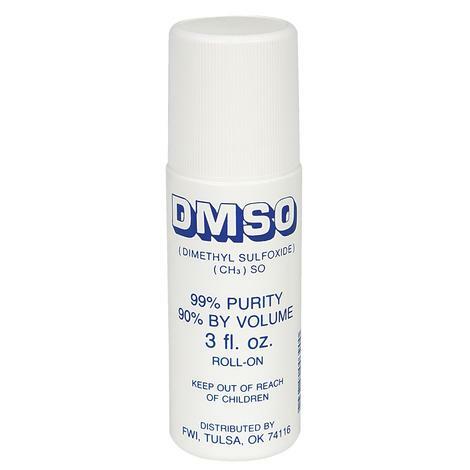 DMSO Roll On 3 Oz. This powerful roll on penetrates deeply and even crosses into cell membranes. In addition to its own healing properties, DMSO acts as a carrier for other substances. Taking them from topical treatments to deeply penetrating intercellular treatments. This roll-on is easy to use and keeps your hands clean during the application process. Glide through cutting even the toughest coats. The new and improved tooth geometry on these blades provide faster feeding and glide through cutting. The blades are easy to attach and detach and adjust from sizes #9, #10, #15, #30, and #40. 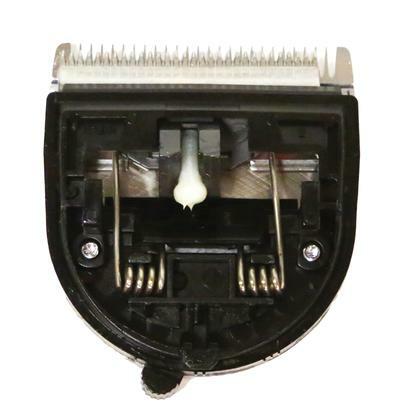 Fits Wahl Li+Pro, Arco, Bravura, Chromado and Li+Pro clippers. 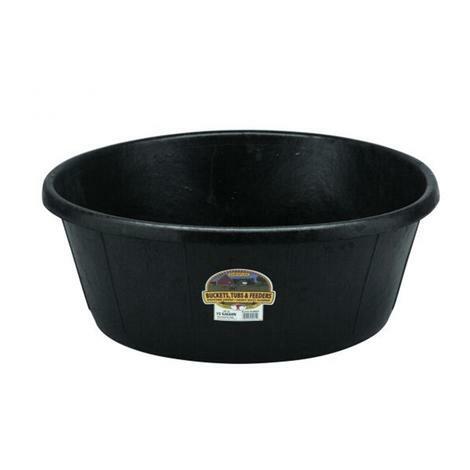 Little Giant rubber feed pan with a 6.5 gallon capacity. Made with strong DuraFlex rubber to ensure it is not only long-lasting, but also crack-proof, crush-proof, and freeze-proof. 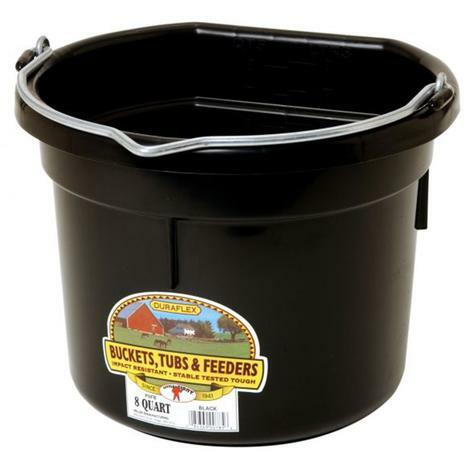 This all-purpose tub is great for feeding and watering, or other jobs around the farm, ranch, or garden. 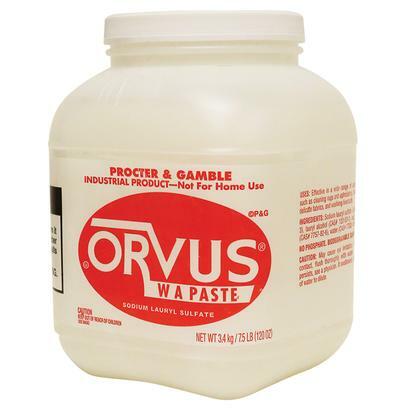 Proctor & Gamble Orvus Paste 7.5 Lb. This is an extremely gentle detergent used to clean cattle and horses. Nonirritating and will not discolor dyes. The shampoo is very effective in a wide range of cleaning tasks including cleaning rugs and upholstery, hand washing delicate fabrics, removing manure stains and washing horses and livestock. 7.5 lb container. Miller MFG. Muck Tub 70 Qt. 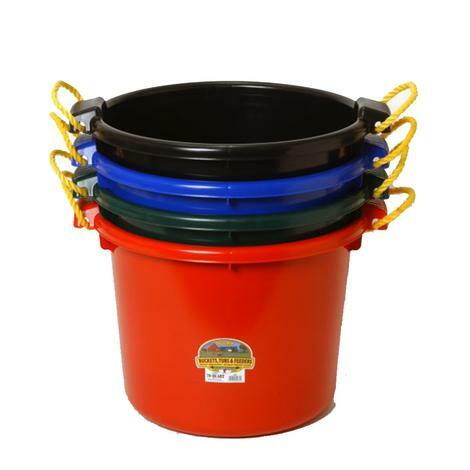 This muck bucket from Miller Manufacturing has a 70 quart capacity and features a poly rope handle for easy handling. Constructed with a high density polyethylene that protects against stress cracks and warping. Available in assorted colors: Black, Berry Blue, Blue, Hot Pink, Green, Lime Green, Purple, and Red. Nervousness and excitability can make an otherwise good horse difficult, and while some horses are born nervous, others may suffer from nutritional deficiencies. Little Giant flat back bucket with 8 quart capacity. Made from high-impact polyethylene that protects against warpage and stress cracks. The flat back makes this bucket ideal for hanging against fences and walls. Features heavy-duty wire bail with a notch for easy hanging, and stacking ribs for easy separation of multiple buckets. Available in assorted colors: Berry Blue, Blue, Burgandy, Green, Hot Pink, Lime Green, Navy, Purple, Red, Teal, Yellow. 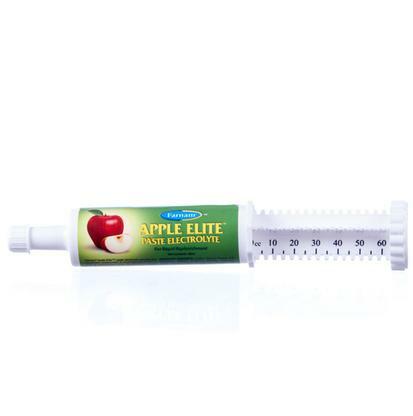 This paste replaces crucial electrolytes depleted through exercise, stress, heat and/or humidity while also helping your horse's body maintain the fluid levels necessary for healthy normal function.The 60cc syringe makes it easy to use anywhere. 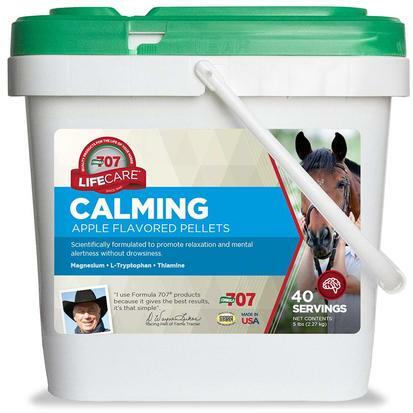 It’s ideal for those times when your horse needs speedy electrolyte replenishment following exercise or when hot weather creates stressful conditions. You can also use it to keep your horse drinking and ward off dehydration. 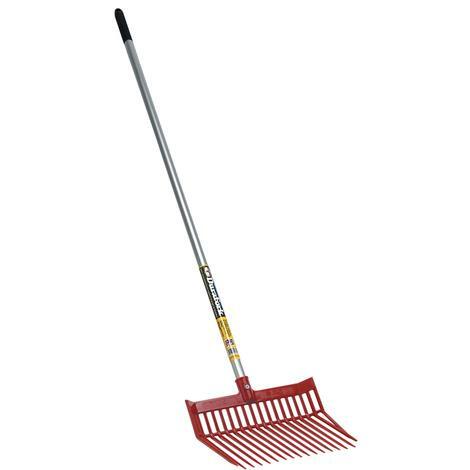 The DuraFork made by Miller Manufacturing features an easy to hold lightweight 52" aluminum handle secured by a nylon locknut. The fork head is constructed from very strong 100% polycarbonate and is durable yet flexible. Designed for use around the ranch, farm, and home. The tines are angled to easily pickup manure without spilling. Wounds need protection but they also need air. Alushield goes on as an aerosol and create a barrier that keeps dirt, insects, debris, and bacteria out. 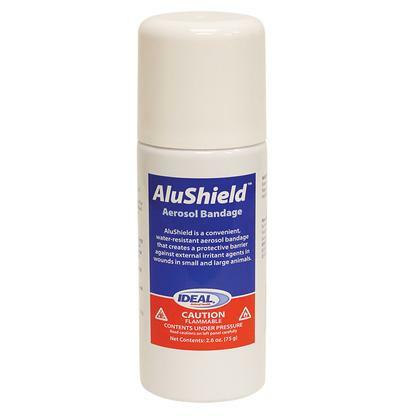 This product is aluminum powder and works well in hard to bandage areas. This allows you to protect your horse’s wound without needing to bandage. 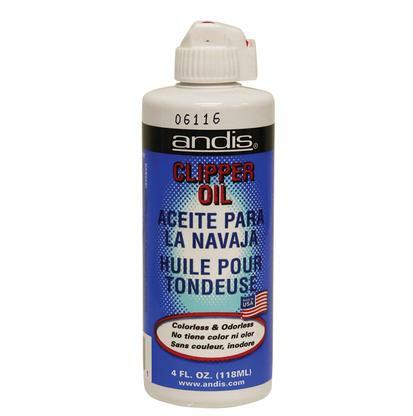 Keep your grooming clippers clean and lubricated with Andis clipper oil. This is a great way to keep your grooming tools in top performance shape. After brushing hair from blades, apply a few drops of clipper oil and then wipe away excess with a clean cloth. 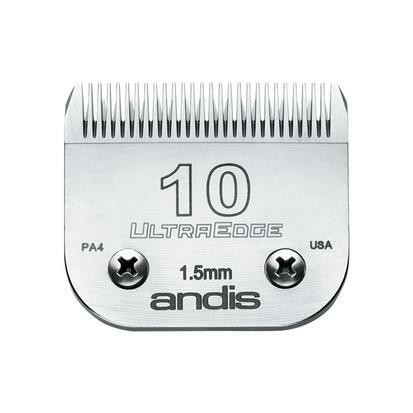 The Andis Ultra Size 10 carbon-edged blade leaves hair 1/16" long. 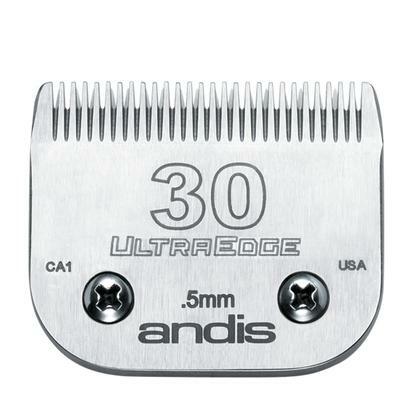 The Andis Ultra Size 30 carbon-edged blade leaves hair 1/50" long. 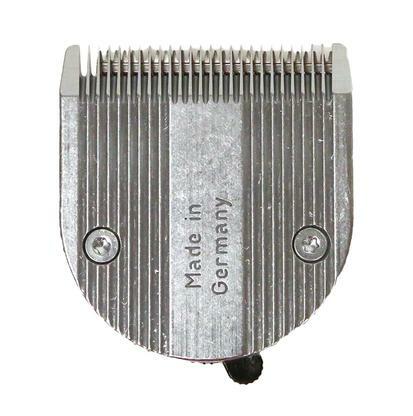 The blades can also be used with other brands of detachable type clippers.